The National Green Tribunal (NGT) has sent notices to the Uttar Pradesh Pollution Control Board (UPCB), Ministry of Environment, Forest and Climate Change (MoEFCC) and Tehri Hydro Development Corporation Ltd (THDC) in an ongoing case against setting up of coal-fired power plant by THDC in Khurja, Uttar Pradesh. The power plant, which received environmental clearance on March 30, has been taken to the Tribunal by the Uttar Pradesh-based non-profit, Social Action for Environment and Forest (SAFE). The organisation has alleged that the plant was cleared without the consideration for environmental and social implications of the project. Moreover, the application filed by SAFE also points towards procedural irregularities. “The project violates the Precautionary Principle as well as is based on submission of wrong and misleading information and data. The Expert Appraisal Committee and the Ministry of Environment, Forest and Climate Change failed to undertake detailed scrutiny which is mandatory under the provisions of the Environment Impact Assessment Notification, 2006,” the application claims. The applicants also mentioned that while the draft Environment Impact Assessment (EIA) report was submitted on March 30, 2013, the public hearing for the project was conducted only after two years of this submission. “It is pertinent to point out that as per the provision of the EIA Notification, 2006, the date, time and venue of the public hearing should be finalised within a period of 7 days from the receipt of the Draft EIA Report,” the application argues. While the public hearing was delayed, the process laid down in the EIA Notification, 2006 for carrying out the activity was flouted, according to the application. It points out that no presentation of the impacts of the plant on the environment was made. “The entire proceedings seem to have been monopolised by officers of the State Pollution Control Board,” the application alleges. 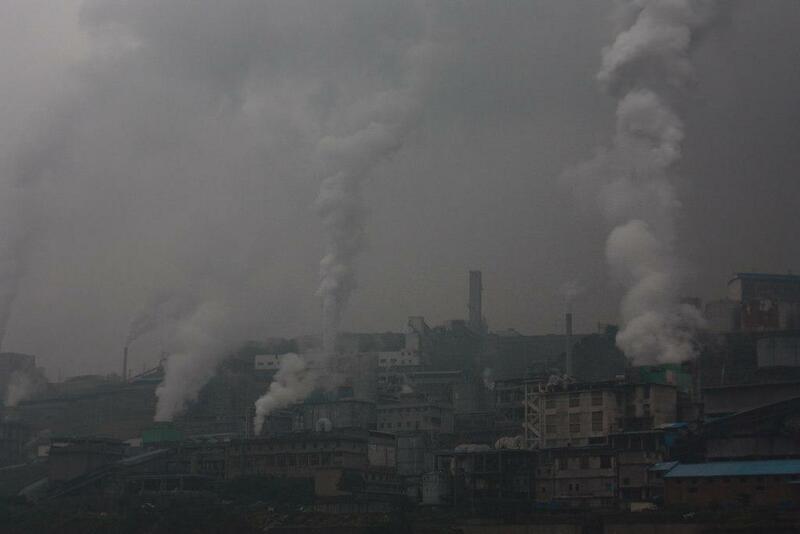 “Coal burning is increasing air pollution. It will also increase air pollution in Delhi-NCR. Moreover, we have other methods of electricity production. Why government is still focusing on coal?” Vikrant Tongad of SAFE said. The next hearing of the case is on August 8.